All systems go! 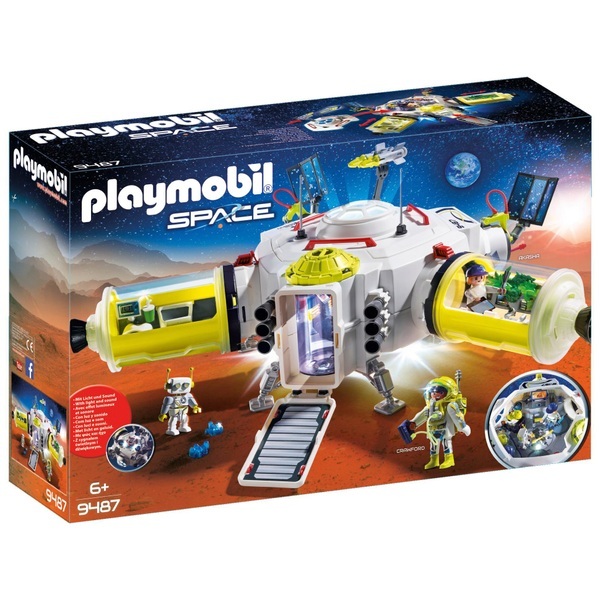 The new Playmobil Space Mars Space Station with Functioning Double Laser Shooter is all set and ready for the next big mission. The station has lots of cool features, such as detachable capsules on either end, stairs that fold out at the front when you're ready to get out end explore new planets and a detachable roof which also includes a functioning laser shooter. The capsules and the entrance booth can also rotate. For night-time adventures, the Space Station has lights at the top and on the front to guide astronauts.